The Democratic People’s Republic of Korea (DPRK) might be preparing for its fourth nuclear test, South Korea’s unification minister said Monday. “I can only say that there are such signs (of the DPRK’s new nuke test),” Unification Minister Ryoo Kihl-jae told lawmakers at the parliamentary meeting for diplomacy and unification. There have been reports of a rise in movement of personnel and vehicles near the test complex at Punggye-ri in North Hamgyong Province. The lawmaker asked whether the movement was the sign of the fourth nuclear test. 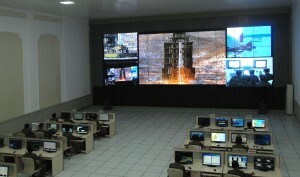 The DPRK conducted its previous three nuke tests at the Punggye- ri test site. The latest occurred on February 12. Asked about the possibility for Seoul to send a special envoy to Pyongyang, the minister said that “now is not the stage” to end the political deadlock through dialogue, noting that the special envoy “does not seem to guarantee easier tensions” on the Korean Peninsula. His comments indicated that the South Korean government would not make a pre-emptive gesture for dialogue fearing that it could send a wrong signal that Seoul caved in to Pyongyang ‘s threats. Nevertheless, Ryoo said that Seoul has left the door for dialogue with Pyongyang open. In related news, South Korean media reported that General Jung Seung-jo, chairman of South Korea’s joint chiefs of staff, would postpone a previously scheduled meeting with his American counterpart, General Martin Dempsey, in the US. For its part, the US has signaled it would delay its own long-range ballistic missile tests for fear of inflaming an already tense situation. Meanwhile, Chinese President Xi Jinping used a forum in southern China to criticise both North and South Korea, saying, “no one should be allowed to throw the region, or the whole world, into chaos for selfish gains”.